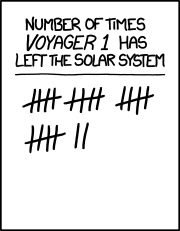 Popular media reports that the Voyager 1 probe has left the solar system are premature, according to NASA. Back in December, NASA reported that Voyager 1, which was launched in 1977, had entered a region known as a “magnetic highway” that is a boundary between the solar system and interstellar space. The magnetic highway is a region where the magnetic field lines of the Sun meet the magnetic field lines of interstellar space, permitting charged particles to stream into and out of the solar system. Voyager scientists expect the spacecraft to cross this highway and enter interstellar space soon, but have seen no evidence for this crossing yet. 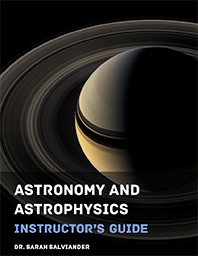 So far Voyager 1 has ‘left the Solar System’ by passing through the termination shock three times, the heliopause twice, and once each through the heliosheath, heliosphere, heliodrome, auroral discontinuity, Heaviside layer, trans-Neptunian panic zone, magnetogap, US Census Bureau Solar System statistical boundary, Kuiper gauntlet, Oort void, and crystal sphere holding the fixed stars.